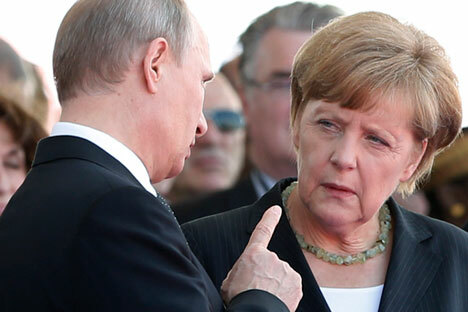 German Chancellor Angela Merkel's statement that Syrian president Bashar al-Assad's participation in working out a political resolution of the Syrian conflict is necessary corresponds with the Russian position on this matter, Kremlin press secretary Dmitry Peskov said. "In this particular case, it [Merkel's statement] corresponds with what president Putin has repeatedly said," Peskov told reporters on Sept.24. The Russian leader has repeatedly pointed out that the Syrian destiny cannot be decided by third countries, Peskov recalled. "Also, the destiny of Syria can be decided by the Syrian people and it is impossible to exclude a lawful and legitimate president of the Syrian Arab Republic from the settlement process for it makes the whole settlement unrealistic," Peskov said. Merkel stated that any political resolution in Syria is impossible without al-Assad when speaking at the press conference in Brussels after the emergency EU summit. "We must talk to several parties, including al-Assad and others," Merkel said.